For as long as we transact and exchange services, money will power the world. That said, the nature of money has evolved over time, and it’s currently experiencing its biggest ever transformation – right before our eyes. But to appreciate how malleable currency is, we need to wrap our heads around the greatest illusion of the modern world: cash. We invest hours of each day earning it, but in reality, it has no intrinsic value. The concept of cash is an ancient one, and it is ingrained in every society around the world. In the seventh century BC, the Lydians replaced goats with coins to make bartering more convenient. They imbued a physical object with nominal value, and that concept evolved over the centuries into the paper bills and coins we carry around in our wallets today. It’s certainly easier to manage than a goat! In 1971, the story of money hit a turning point, and how we measure its value changed forever. When President Richard Nixon took the US off the gold standard, he hammered the final nail into the coffin of the Bretton Woods system and turned the US dollar (and, by extension, every other currency in the world) into a fiat currency. The dollar’s value was no longer measured against gold – instead, it was measured by regulations, laws and governments. In effect, it was the first time that money became divorced from the physical and became its own belief system, puppeteered by the invisible hands of the government. Today, confidence in central banking systems like the US Federal Reserve is waning rapidly, especially in the world of Trump and Brexit. We are also living at a time when the technological ceiling gets shattered on a daily basis, and consumer needs are driven as much by convenience and novelty as they are by wants and needs. These factors have combined to redefine the meaning of archaic terms such as ‘coins’, ‘wallets’ and ‘money’, which are rapidly aligning themselves with the virtual space: a digitised, programmable, complex series of ones and zeros that are stored and encrypted in online databases. As intimidating as this may sound to the layman, the great advantage of this digitised form of currency is its decentralised nature. Neha Narula, Research Director of the Digital Currency Initiative at MIT, said in her TED talk on the subject: “With programmable money, we decouple the need for large, trusted institutions from the architecture of the network, and this pushes innovation in money out to the edges.” In essence, she concluded, “programmable money democratises money”. Everyone’s heard of them, yet few know how to explain what cryptocurrencies are or how they really work. The bitcoin was engineered in 2008 by Satoshi Nakamoto (who may or may not be just one person), and is the world’s most familiar cryptocurrency – i.e. digitised money in the form of a string of encrypted computer data that is used to make online payments. Bitcoin is the most prominent peer-to-peer alternative to the standard notion of physical cash and bank accounts, and other than a 2011 security breach at Mt Gox (a bitcoin exchange in Tokyo), which saw the loss of nearly $500m worth of bitcoin, the currency is widely regarded as secure and stable. Today, a single bitcoin is valued at more than $1,000, and more and more merchants are accepting it as a form of payment. But bitcoin isn’t the only cryptocurrency around – new ones are popping up on a seemingly daily basis. Litecoin, Ethereum and DOJ coin are among the other cryptocurrencies gaining popularity, while the digital currency revolution is even stepping beyond the realm of cryptography. Stan Stalnaker, founder of global collaboration network Hub Culture, created Ven, a digital currency with no borders and no fees – hidden or otherwise. In 2015, a grant from the Bill and Melinda Gates Foundation brought Ven to the growing mobile fiat currency system of many third world countries. As a currency that’s backed by carbon and other commodities, it’s a green alternative to physical cash. Stalnaker has boasted that Ven is the most stable currency in the world, making it of particular interest to currency traders, who welcome safe-haven investments during politically unstable times. While some regulated forex brokers accept bitcoin, the decentralised nature of cryptocurrency and its total reliance on hack-prone computing devices have dissuaded most brokers from using it. 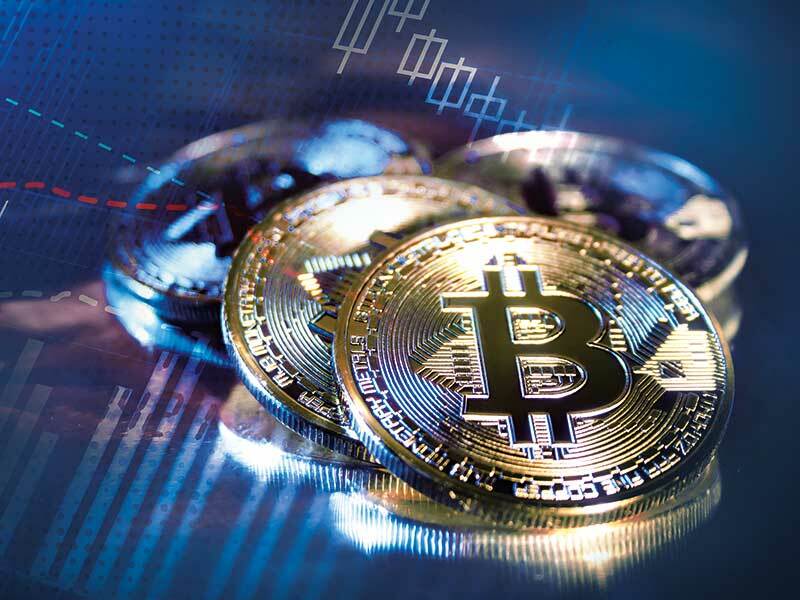 At FXTM, we are paying close attention to the ongoing evolution of bitcoin, and though there is not currently a significant demand for it from our clients, it is something we will continue to monitor and consider as a viable option for the future. Beyond peer-to-peer currencies, there are other alternatives that remove the friction of handling physical money. Payment networks like PayPal and Apple Pay are becoming increasingly common as they embrace the growing digital fiat system. Even in third-world countries, we are seeing a growing trend toward mobile payments: M-Pesa in Africa, for example, uses mobile phones as the primary device for transferring payments and even sends money through text messages. As of 2011, M-Pesa had transferred 11 percent of Kenya’s GDP. Carrier billing is another form of payment that connects your phone to an online account, allowing you to book a hotel room with your phone number instead of a credit card, paying for it via your phone bill. In Sweden, the Swish app, which lets people transfer money using their smartphones, has become so popular that many hail Sweden as a trailblazer for cashless societies. Besides mobile-friendly systems, there are also corporate value currencies, which many companies have integrated into their development. Value is derived from what consumers get out of the products and services the company offers, rather than legal tender. Looking at it from a big picture perspective, it’s all part of the gamification principle – offering incentives as a way to encourage engagement – which has made a big impact both in the video gaming industry and virtual world currencies. Games like World of Warcraft see players spend hours on end performing missions to accumulate enough virtual ‘gold’ to enhance their characters; they can eventually sell their avatars for hard currency. In 2009, this kind of ‘gold farming’ made an estimated $3bn in real-life dollars, proving that modern virtual world currencies are not to be sneezed at. If that wasn’t impressive enough, Linden Lab’s Second Life, one of the largest online gaming platforms, made an estimated $144m by the first half of 2009, surpassing no fewer than 19 countries’ GDP figures. Ever since the US left the gold standard in the 1970s, public confidence in the fiat system has dwindled, fuelled in no small part by a general mistrust of banking corporations and government-controlled mechanisms. The nature of money changed when it was uncoupled from tangible commodities and measured instead by government policies. Now it is changing once more, as money moves away from the physical world into frictionless, digitised forms. Consumers too are rapidly doing away with paper money, transacting mostly through credit cards, mobile phones and online payments instead. That said, these systems are still chained to bank accounts – for now. Current technological trends are veering away from traditional banking systems towards a purely democratic system of decentralised currency. With security underlined by meticulously coded data and a functionality that doesn’t depend on faceless third parties, digitised currencies like bitcoin stand poised to usher in a new financial world order. Aside from the predicaments that come from regulating these currencies, the complex nature of cryptocurrency is still its biggest hurdle, and the primary reason it hasn’t breached the mainstream just yet. Time will tell whether this technology will be able to overcome its current disadvantages, but one fact remains: the nature of money is evolving away from the physical, centralised standard we’ve all come to take for granted. We set the value that money represents, so we have the power to take that value away and place it in something else, like a chip or a code. Ultimately, the future of money doesn’t belong to the material world of plastic and paper, but in the complex matrix of cryptographic codes, data chains and mathematical puzzles. It will not be controlled by governing bodies, but by individuals. And the future is closer than we think.